India's Saina Nehwal lost 8-21, 13-21 to Nozomi Okuhara of Japan in the Singapore Open quarterfinals. India's Saina Nehwal failed to get past the quarterfinals stage at the Singapore Open after being outgunned by World No.3 Nozomi Okuhara of Japan on Friday. A little later in the day, PV Sindhu survived a scare before making the semifinals, where she will be up Okuhara. In the last match of the day featuring an Indian, Kidambi Srikanth, despite giving a toe-to-toe fight to top seed Kento Momota, eventually lost out 18-21, 21-19, 9-21. In the early match, Saina Nehwal lost in straight games 8-21, 13-21 to bow out of the tournament. The match lasted just 36 minutes as the Japanese shuttler found top form against her Indian opponent. Saina Nehwal had no answers to Nozomi Okuhara's brilliant attacking play, tasting her first defeat against the Japanese in their last 4 meetings. On Thursday, Saina Nehwal had defeated Thailand's Pornpawee Chochuwong 21-16, 18-21, 21-19 in the second round to reach the quarterfinals. 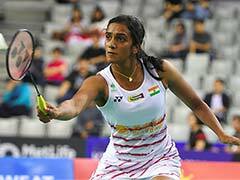 Rio Games silver-winner Sindhu defeated world No.18 and 2017 BWF World Junior Championship bronze-medallist Cai Yanyan of China 21-13 17-21 21-14 to set up a meeting with former world champion Okuhara. This is Sindhu's second semifinal of the season, following a last-four finish at the India Open last month. Kidambi Srikanth, taking on top seed Kento Momota in the men's singles quarterfinals in the evening match, got off to a worst start possible, losing six straight points. He then came up with a fightback to get on even terms with Momota though. The Japanese shuttler then tightened the noose, racing to an 18-12 lead. In what a see-saw first game, Srikanth managed to claw his way back yet again, but Momota squeezed through the first game 21-18. 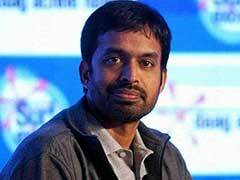 The second game saw some stunning rallies and Srikanth taking the early lead. Parity was restored at 6-6 and Momota took the lead in this game too thereafter. However, Srikanth was not in any mood to concede an inch and finally nosed ahead himself at 16-15 and took the game 21-19 to force a decider. Momota raced to a 5-0 lead in the third game but yet again Srikanth managed to claw his way back. A leaping defence stroke landed just inside the court to give the Indian a 7-6 lead, forcing Momota to sit down on his haunches and stare at the inner line in disbelief. The Japanese started approaching the net a lot more as the decider wore on, leading 11-7 at the last interval. After the interval, Srikanth suffered a capitulation, giving away eight straight points before eventually losing 9-21.